The Minimally Invasive Surgery and Robotics group at Colorado Urology are among the Mid-Atlantic region’s leading specialists in laparoscopic and robotic procedures for a broad range of kidney, bladder, and prostate conditions and diseases. Colorado Urology’s Minimally Invasive Surgery and Robotics group provides the most advanced minimally invasive urological procedures available. 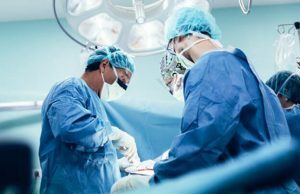 Minimally invasive surgery includes laparoscopic and robotic surgery procedures which are performed in both hospitals as well as our state-of-the-art Summit Ambulatory Surgery Centers located throughout Maryland. Minimally invasive procedures are performed with the smallest amount of damage and trauma possible to the body. Your physician will make the minimum amount of incisions necessary to perform the procedure.